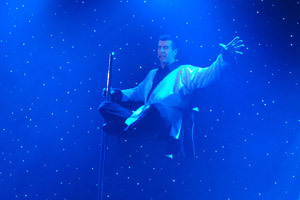 MYSTIC is a show that combines grand illusions, mystery, comedy and interactivity, thanks to the charisma of Phil KELLER. 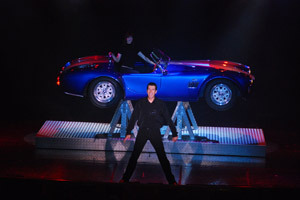 Surprising illusions where appearance, disappearance and levitation are linked together for an hour and a half, and a finale with the appearance of a fabulous car, the legendary AC Cobra. 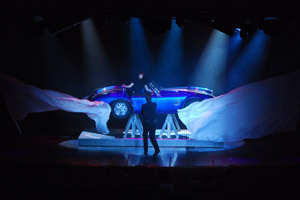 A great illusion show in the tradition of American shows. In this show you will discover why, for over 20 years, Phil KELLER occupies the international scene with his talent and flair. “This year Phil KELLER and his team were the main attraction for the town halls celebrations for the New Year. We had a great time and were amazed by the world class illusions offered by Phil and his lovely partner, Rebecca. An excellent performance, staged to perfection and with the interaction with the public, Phil KELLER captivated the room keeping the audience in their seats for more than an hour giving us a show of a extremely high level.